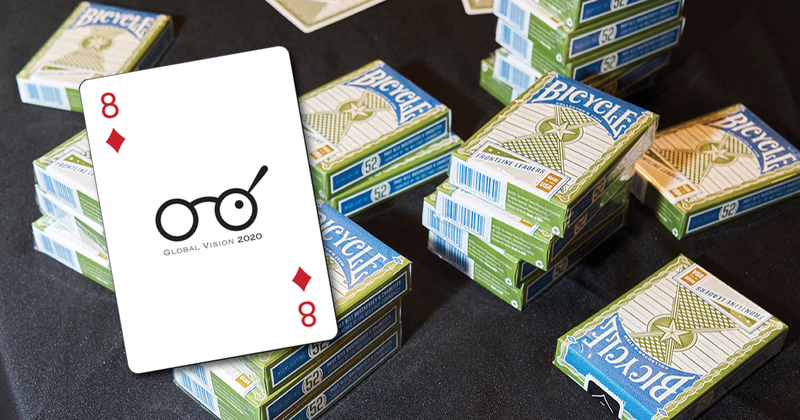 We all know Bicycle playing cards. They are fun, and they are iconic. Everyone has a pack in either red or blue. They probably conjure up memories of childhood. Playing an assortment of card games with friends on a rainy day, or on the pool deck, or starting a fun game of poker. Decks of cards are easily portable, have nearly infinite potential for gaming, are sociable, and ward off boredom when we’re lonely with a game of solitaire. In fact, Bicycle is America’s go-to brand. 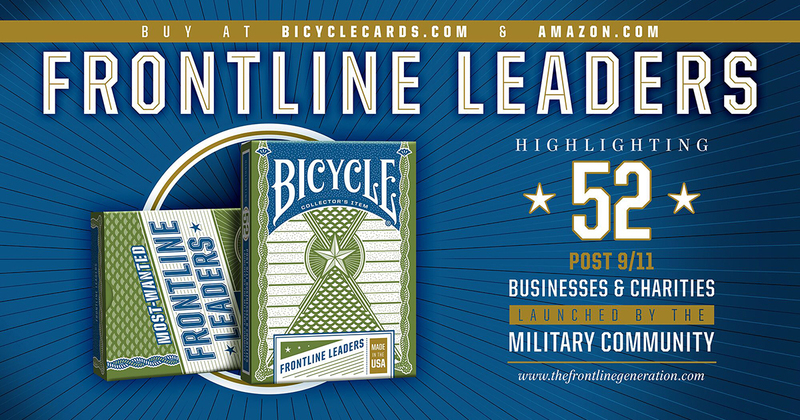 Their official name is The United States Playing Card Company (USPCC), and as the Joker cards in this newest pack outlines, the USPCC has a storied history with the military. This historic company printed decks that were used in the Civil War, WWII, and the Vietnam War. Most recently, in 2003, they produced the Iraqi Most Wanted cards, a limited edition deck of the high value targets for that campaign (read that history here: https://taskandpurpose.com/wanted-iraqis-cards-can-teach-us-war). This newest deck was inspired to show how military veterans and their families are a positive force in America’s local communities, culture and economy. For this most recent limited edition deck, Kevin was highlighted by Marjorie Eastman – the creator of the deck – at the tail end of 2018 as one of 52 veterans making a difference in this world. And Global Vision 2020 is the 8 of diamonds in the deck! The first production sold out in less than three days, so don’t wait! !